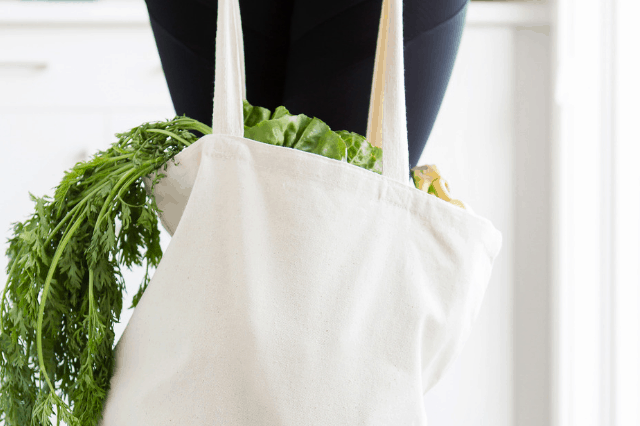 All these healthy grocery items should be added into your cart next time you go shopping. These staples can add flavor and protein to every meal. Salsa: These few ingredients in one happy jar has limitless potential. I am biased in this condiment, I have a slight obsession with it. I have a variety in my fridge of FRESH salsas. I do not purchase the jars next to the chips in the aisle. My personal favorite brand is La Mexicana, I have both the Mild and the Peach Mango Salsa consistently in stock. You pick this up next to the produce in the fresh section. Try the suggestions below next time there’s a salsa jar lurking in the fridge. Also, let me know how you use salsa. Top your morning eggs for a fresh and spicy kick. Top your homemade pizza with a fresh scoop, or two. Stir it into your brown rice or quinoa to keep it from being so bland. Add it to your soups or chili recipes. Stir into chicken salad or tuna salad. You’re going to think I’m crazy for this one, but try it… add a scoop to your mac and cheese! Toss it with your diced chicken or tenders. This is a perfect filler to so many dishes. It cooks down to be soft enough that you can even trick your husband and kids into eating it. I always have 2 bags of slaw in my crisper. Do not confuse this with coleslaw. Coleslaw is swimming in mayo and preservatives. 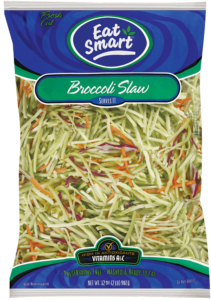 Fresh broccoli slaw is found in your produce and fresh foods area. The ingredients are fresh broccoli, carrots, and red cabbage that is shredded. My suggestions for this product are only ones I have tried myself. I promise they are easy and quick. We use it for the obvious salad filler. Add half a bag to every 1 lb of meat for taco fillings. Cook it after the meat is seasoned and it cooks down to be soft. Toss it into soups like chicken noodle or dumpling soups. Filling the inside of a quesadilla. Add it to your favorite stir fry recipe. Toss it with warm pasta, add salt and pepper, viola! Spread on a sandwich, wrap or tortilla for a healthier mayo substitute. Add a tablespoon to your scrambled eggs before cooking them. I promise, just try it. Mix it with chicken salad and taco seasoning for a southwest kick! Greek Yogurt: My attraction for this product is growing daily. I am consistently learning new ways to use it. If you haven’t already seen my previous post 5 Surprising Ways to Use Greek Yogurt, you should check it out. On top of the all the ways listed in the previous post my new found idea is to mix sugar free fruit preserves in it. Although my love for this product is real, I am also well aware that when it stands alone, it is not the most palatable. Mixing in a spoonful of fruit preserves makes this a perfect morning guilt free treat. Broth: Plain chicken broth is naturally low in calories and has protein. While it is a staple ingredient for many soups there are also many other recipes for it as well. Great for sauteing vegetables without having to add oil. Marinara ingredient; traditionally made with white wine, but for a different flavor twist, substitute chicken stock instead. When making mashed potatoes it usually calls for a mixture of butter and cream, substitute one cup of chicken stock (more or less to achieve desired consistency) to save fat and calories. 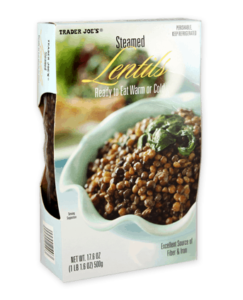 I feel bad for lentils, their name just does not do them justice. They just sound like boring, bottom of the freezer type crust. However, if you’ve read my Trader Joe’s Must Haves list, then you know I buy these often. I was constantly seeing them listed as pantry staples to have and never Â felt compelled enough to actually grab them off the shelf. This is until a Trader Joe’s popped up nearby and I saw in the fresh food area were theme ready to eat lentils calling my name. I do not have the patience for a overnight soak then hours in a pot. They were perfectly cooked and ready to eat so I gave them a try. I would compare their taste to black beans. Ways that I have used them in the last few months have been crowd pleasers for both my toddler and my husband. Mash them up and use for quesadilla filling. Mixed with brown rice and seasonings. As a side on its own, can be dry, but not bad. Add cold into a salad. Yes to all this!! 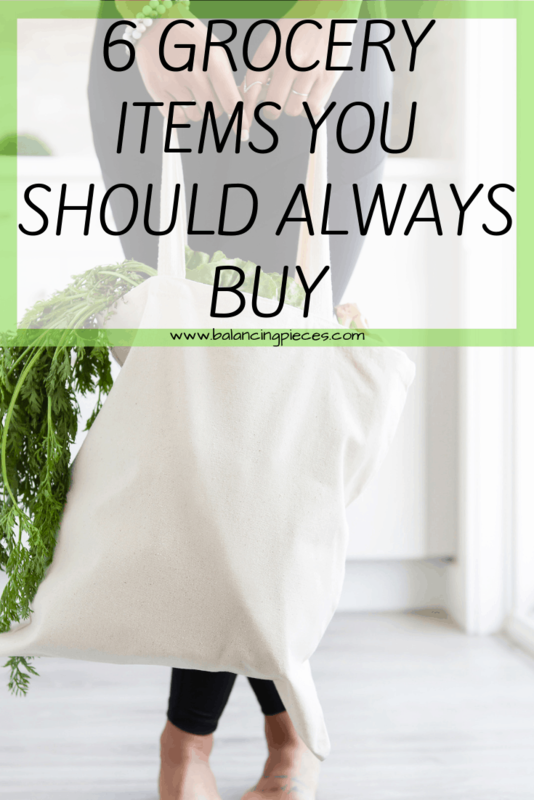 I never leave the grocery store without more greek yogurt, I buy the plain kind and sprinkle trail mix or dried cranberries on top. And Hummus is my late night go-to snack! sliced whatever veggies are in the fridge + hummus, and I feel like I’m eating something all decadent, but it’s pretty healthy. Even my toddler now loves hummus. It’s a win win! Hello I have to agree with you about Salsa! Being the owner of Cush’s Homegrown Llc a natural food company that produces 7 different salsas. One of our favorite recipes is to filet a pork roast and make a filling using Ciabatta bread crumbs and a 8oz of our pineapple salsa. Spread on pork roll up then tie with butchers string. refrigerate overnight and bake. You won’t want pork any other way!